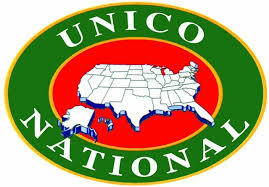 As you know is is the desire of UNICO National to have a chapter in every city where Italian Americans are represented. It is out duty to help in this expansion effort. With your help we can do our part to make UNICO National truly a national organization of dedicated people devoted to community activity, welfare and charity. So let us continue to think, talk and act for UNICO. Help the new chapters in their program formation so that they may be good examples of UNICO in action and help in this expansion effort. All we ask is that you give some thought to UNICO's Expansion Program by listing the names of some people in our area who would make good Unicans. It is out plan to list these prospects by town, send them literature on UNICO and follow-up with an initial meeting and eventual formation of a new chapter, under the sponsorship of our chapter.